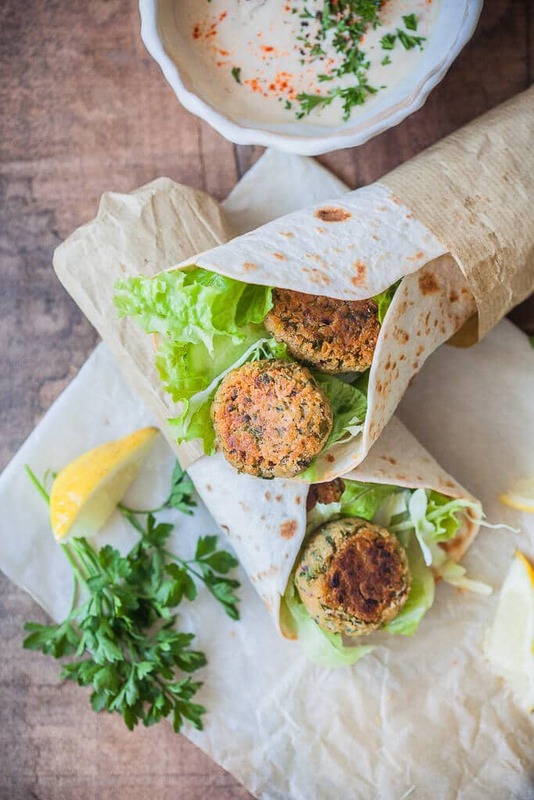 The Easiest Lemon Tahini Falafel Wrap, topped with a delicious Lemon Tahini Sauce is a quick & vegan meal. 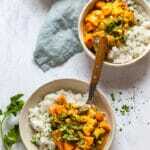 We make plenty of our meals vegetarian because we simply do not like meat that much. I guess you could say we are a bit fed up with meat. 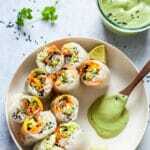 Going strictly vegetarian or vegan overnight can be a bit traumatic. Believe me, I tried it. It is a good idea to get organized and informed about your choices before you take the step. But you can also try it in smaller steps. Like partaking in #meatlessmonday or have a few vegetarian meals per week. When you do try it, you’ll see a whole new world open up. And it’s a beautiful, colorful and tasty world of healthy food. 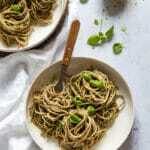 Vegetarian food can be fantastic, but it can also be boring and unhealthy. There is vegetarian junk food. Plenty of snacks and crisps are actually vegetarian. So if you are trying it for health, make sure to incorporate plenty of vegetables in your diet. But in the end, you may find out, strict vegetarianism may not be for you. And that’s ok, too. 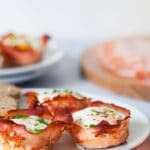 You’ll still learn about new foods and healthy food choices and if you incorporate that in your everyday diet, you’ll be just fine. Your diet should be whatever makes you feel your best. Falafel is one of the meals I have never had before I went vegan a few years back. 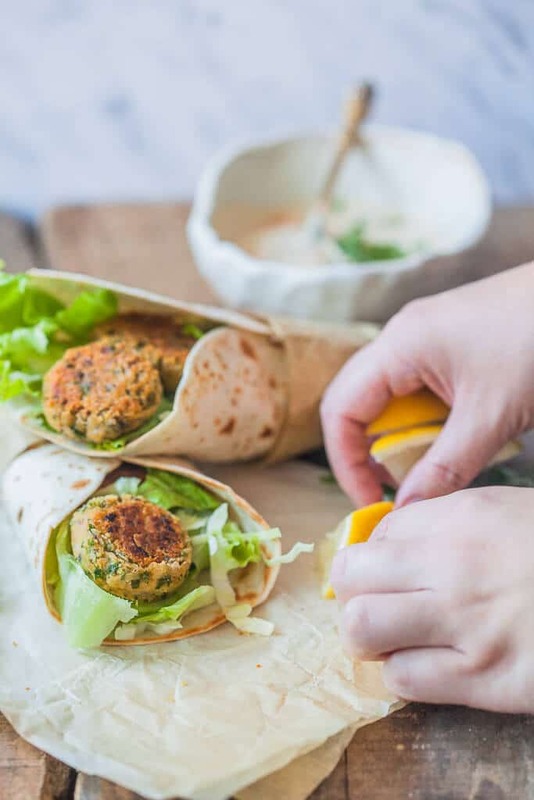 I posted the recipe for falafel patties a while back and one way to eat it is in this gorgeous Lemon Tahini Falafel Wrap. Isn’t it just pretty? 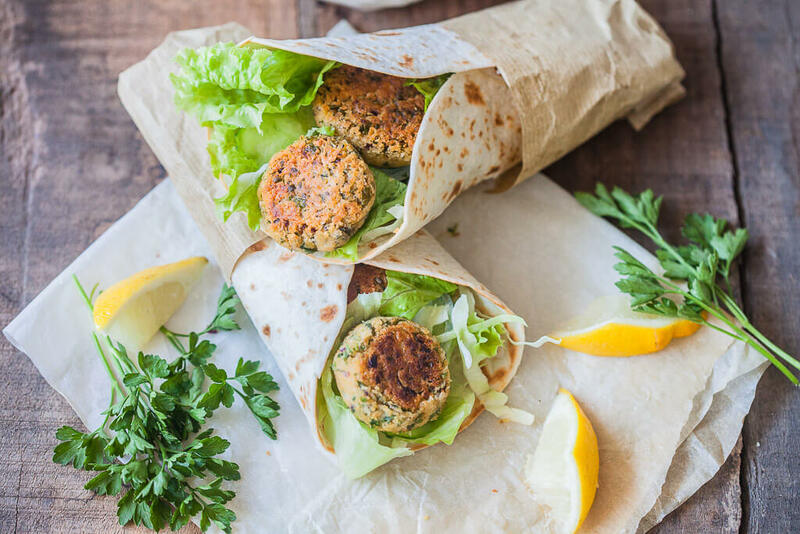 What’s even better, to make these wraps you can actually make your falafel patties ahead and store them in the fridge. Then, when you are ready, just assemble together and enjoy. 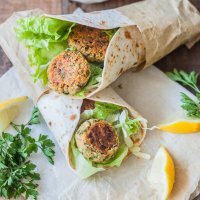 This Lemon Tahini Falafel Wrap makes also an excellent to-go lunch to enjoy later on in the day. 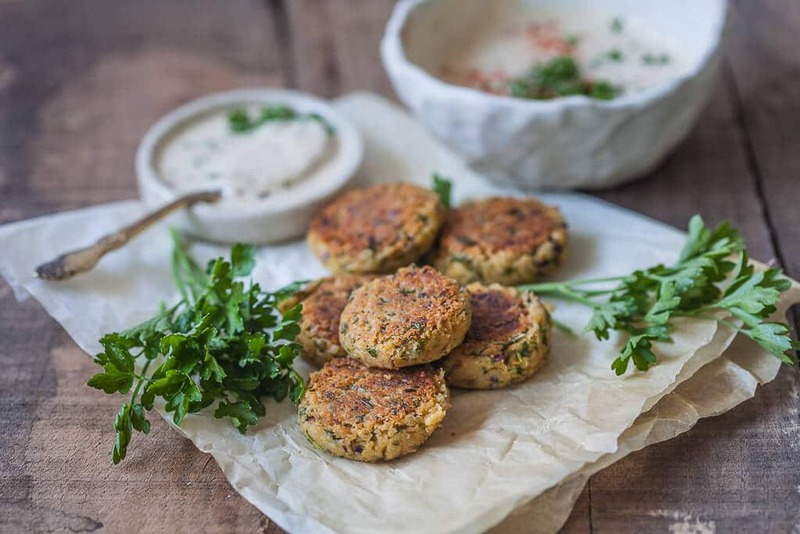 Make falafel patties according to this recipe. 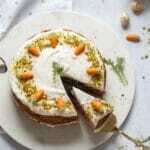 You can make falafel ahead and store it in the fridge for a few days to use when ready. Preheat tortillas according to package instruction. Assemble your wrap. Spread lemon tahini sauce on a tortilla, add chopped salad, sliced cabbage, cucumber slices, bell pepper and sliced white onion. 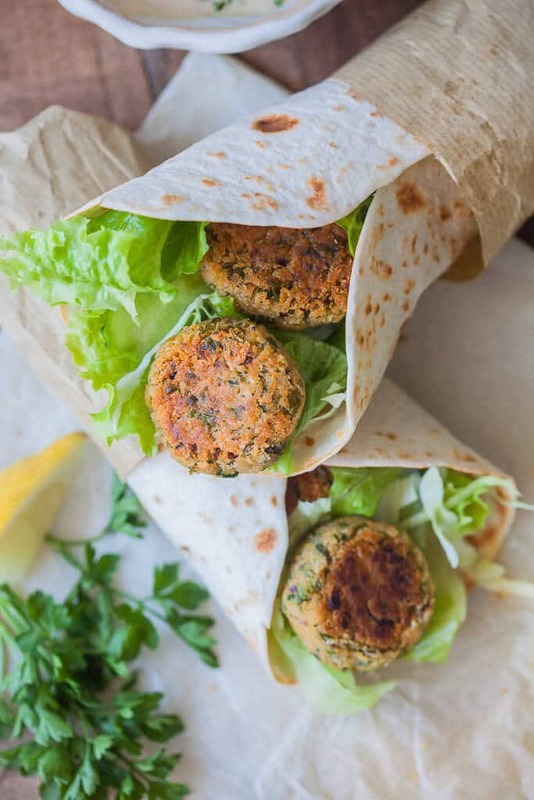 Top with falafel patties and close the wrap. Serve immediately or pack up for your lunch break. These little falafel balls look incredible! Serving them in a wrap with all of those vibrant flavorings…perfection!